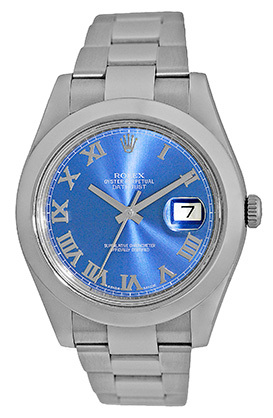 Certified Pre-Owned New Style Gent's Stainless Steel Rolex "DateJust II". 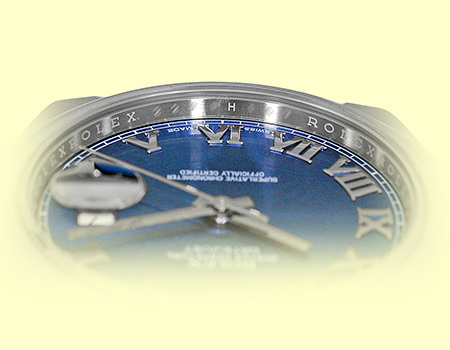 Blue Azzuro Dial with White Gold Hands and Roman Numerals, Center Sweep Seconds Hand, Date Indicator. 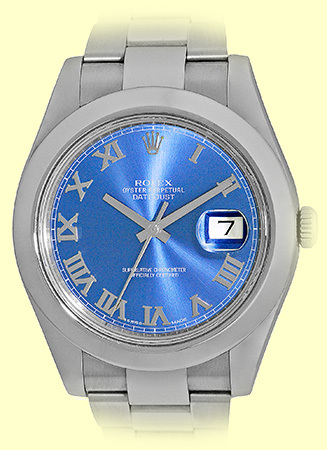 Stainless Steel Smooth Bezel, Quickset Movement, Sapphire Crystal. 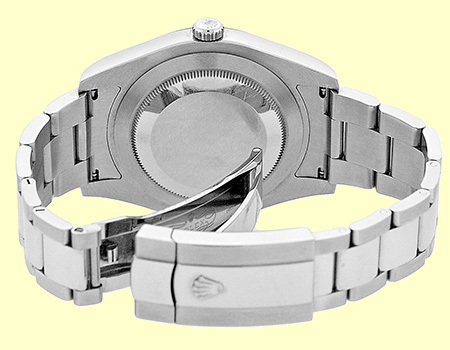 New Style Matching Stainless Steel Rolex "Oyster" Bracelet with Folding Oysterclasp and Easylink Extension Link. Water Resistance: 100m / 330ft. Random Serial Number, Warranty Card Dated 2017. Handmade Swiss Chronometer Certified (COSC) Automatic Movement (Calibre 3136). 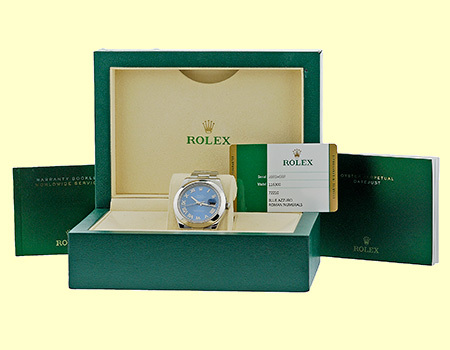 Like New, Perfect Condition with Rolex Box, Booklets, Rolex Warranty Card (Dated 6/2017), Hang Tags and complete with Capetown's Lifetime Warranty! !